Like Truex, Brad Keselowski has a formidable history at Kansas Speedway. It’s the track that gave the driver of the No. 2 Ford his first victory in a Team Penske car, the year before his 2012 NASCAR Sprint Cup Series championship season. Keselowski will start eighth in Sunday’s Hollywood Casino 400, his worst qualifying position in the last seven races here. 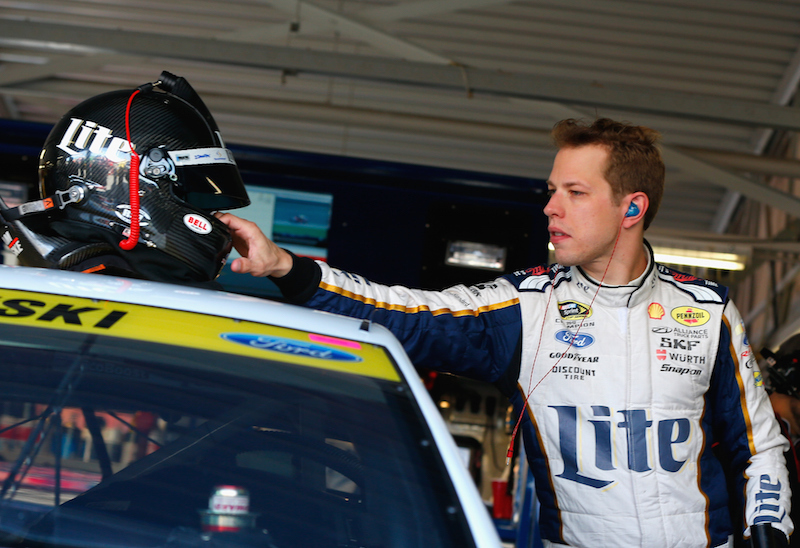 In his last six events at Kansas, Keselowski has led laps, averaging 24 per race. With four victories in the 26-race regular season, Keselowski hasn’t yet shown the speed necessary to win in the Chase, but he sailed through the Round of 16 with remarkable consistency—as the only driver to post a top-five finish in each of the three opening-round races. A solid seventh-place run last Sunday at Charlotte put Keselowski in solid position to advance to the Round of 8, with the cutoff set to come next weekend at Talladega, one of the No. 2 team’s best tracks. So even though the eighth-place qualifying effort was a slight tick down for Keselowski, he’s comfortable with his starting position heading into Sunday. “You always want to be really high up but compared to where we were in practice that was a really good gain,” said Keselowski was ninth fastest in Saturday’s final practice and 10th on the speed chart in 10-lap average.